In 2007, the term “Left of Boom” was popularized by Rick Atkinson of the Washington Post in his four-part series, “Left of Boom- The Struggle to Defeat Roadside Bombs,” describing the effort by the U.S. military to combat the improvised explosive devices (IEDs) used by insurgents in Afghanistan and Iraq. Spearheaded by the Joint Improvised Explosive Device Defeat Organization (JIEDDO), the U.S. military spent billions of dollars developing technology and tactics to predict, detect, prevent, neutralize, and mitigate IEDs. After years of frustration, JIEDDO focused on getting “left of boom” – disrupting the bomb chain long before detonation – through advanced analysis and fusion of intelligence with operational data. What we discovered and published in our Security Effectiveness Report is that organizations are not getting the expected value or protections from their investments. The dollars being spent on security, along with the efforts being applied, have not equaled improved security effectiveness. Why not? Because organizations have not had a way to prove efficacy across people, process, and technology which limited them to managing by assumptions. While deployed to Afghanistan as a Marine Intelligence Officer in 2012, my focus was to provide timely, accurate, and relevant data in support of decision-making to accomplish our mission while minimizing risk. Now with Verodin, our focus is to provide quantifiable, evidence-based data on cybersecurity effectiveness to enable organizations to mitigate risk – not just cyber risk, but financial risk from cyber. Learn more about Verodin here and request a demo. 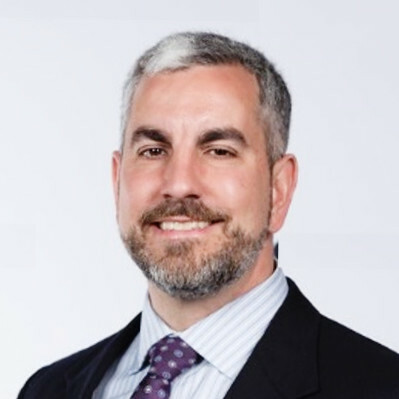 Ted Corbeill is a recently retired Marine Corps Intelligence Officer who is leveraging his military experience to build and lead innovative sales enablement programs to drive revenue growth through data-driven insights, business innovation, and collaboration at Verodin. Prior to joining Verodin, Ted built sales enablement programs for DXC Technology and Hewlett Packard Enterprise.